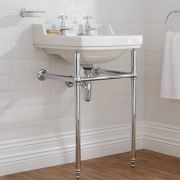 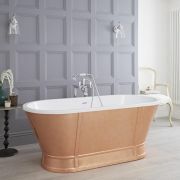 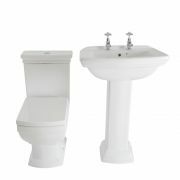 The Milano Richmond 560mm pedestal basin is the perfect option for bringing stunning traditional style to your bathroom. 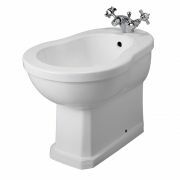 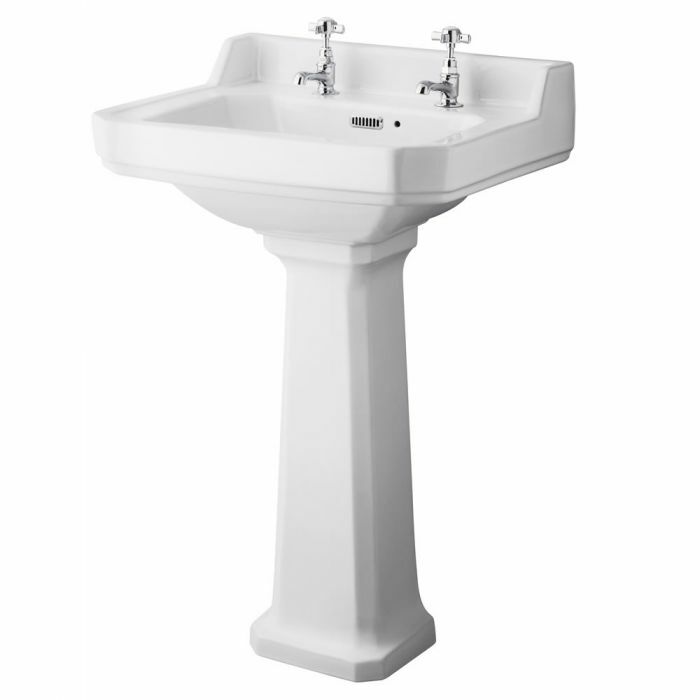 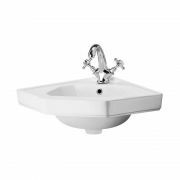 Supplied with the full pedestal, which conceals unsightly pipework from view, this basin features clean lines and a soft angular shape. 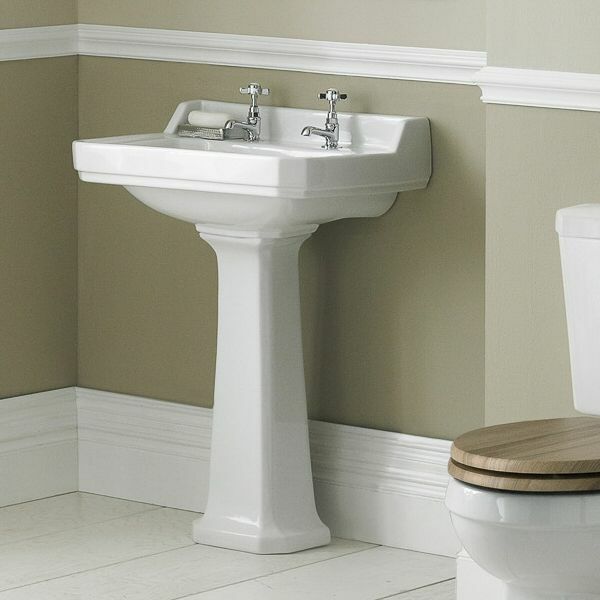 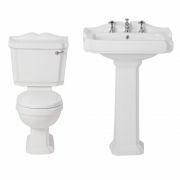 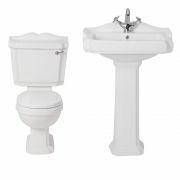 Incorporating plenty of wash space, this traditional basin has been made from premium quality ceramic with a durable white glazed finish that’s easy to clean. 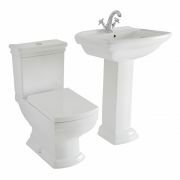 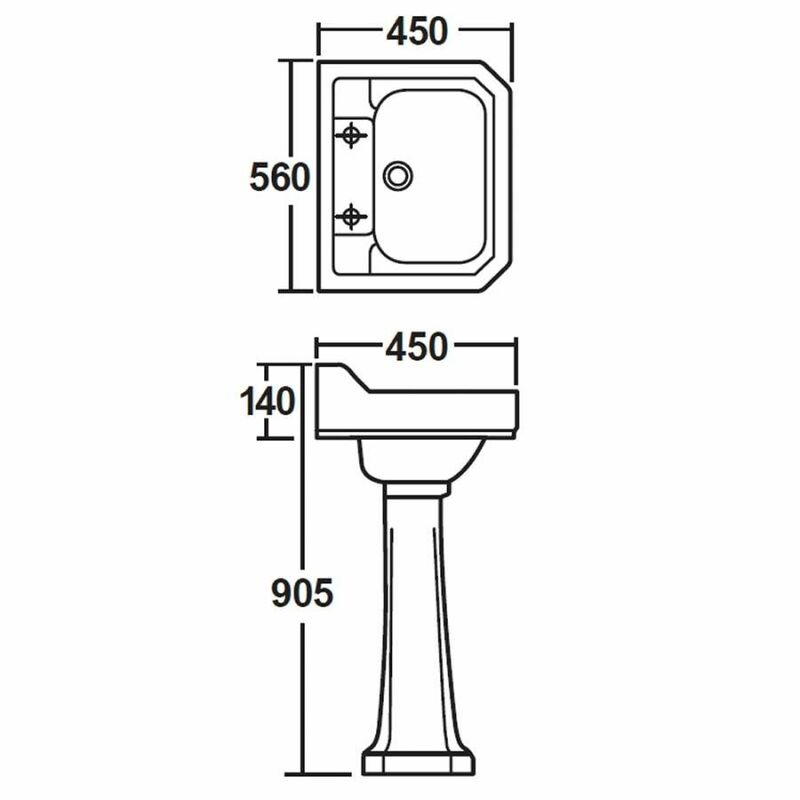 The basin has two tap-holes, so why not choose from any of our traditional style pillar taps to complete the look?